These websites are a mix of Wordpress and custom built sites. 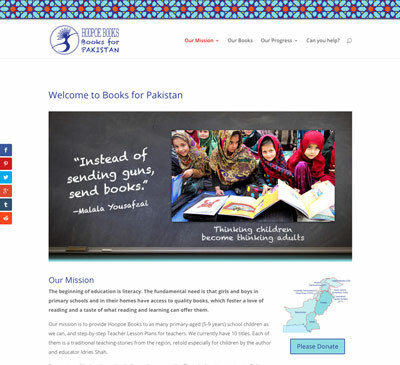 Hoopoe Books needed a website for their Books for Pakistan program. This website is designed to help raise awareness and much needed funds for books for disadvantaged kids in Pakistan. 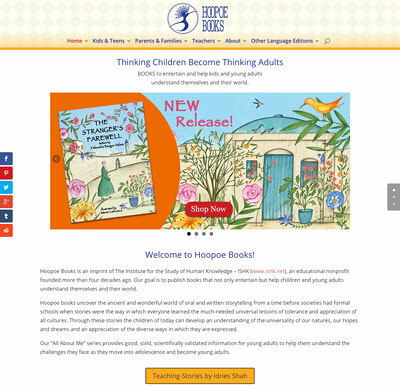 Hoopoe Books publishes children's books. Design, HTML and CSS coding, some PHP. 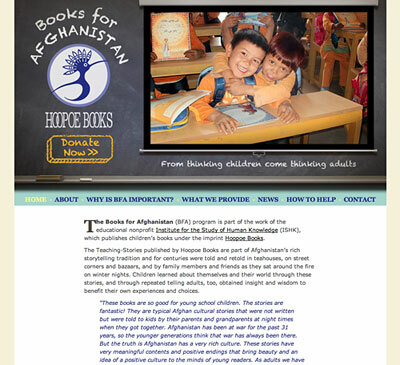 Hoopoe Books needed a website for their Books for Afghanistan program. This “Schoolroom” styled website is designed to help raise awareness and much needed funds for books, teaching aids and teacher training for schools in Afghanistan. Design collaboration with John Zada, coded using HTML and CSS with some jQuery. 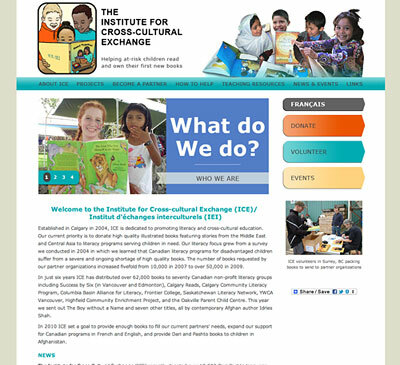 The Institute for Cross-cultural Exchange was looking for a clean “Zen” styled site. They are Canadian charity dedicated to promoting literacy and cross-cultural education. 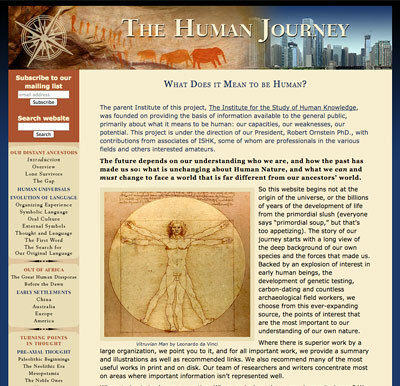 This educational website covers research in genetics, evolutionary biology, anthropology, linguistics and history. The compass motif reflects the journey of human adaptation from our past to our future. Concept and content, design, front-end HTML and CSS coding, some PHP. This website was develoved to facilitate more involvement in the community. 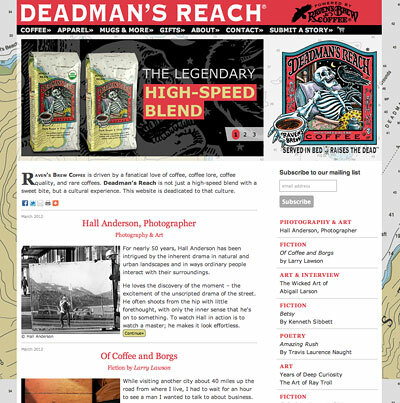 It functions as an ezine as well as having products that link to the Raven's Brew ecommerce website.